In total I have identified 105 volcanoes that have been thermally active during my study period. 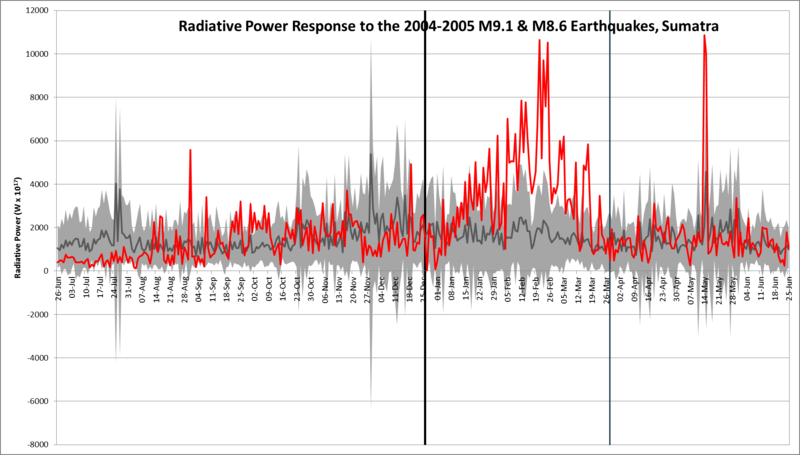 Importantly, many of the largest increases in global radiative power of volcanoes appear to be following large earthquakes, Figure 1. The 2004 Sumatra earthquake, in particular, was an important earthquake in many ways, demonstrating the need for research on the risks posed by natural hazards and forecast future activity to the UN and government agencies. At a global scale, a number of volcanoes were known to respond to the 2004 Sumatra earthquake. Mount Wrangell in Alaska, for example, saw triggered seismicity following the passage of seismic waves. 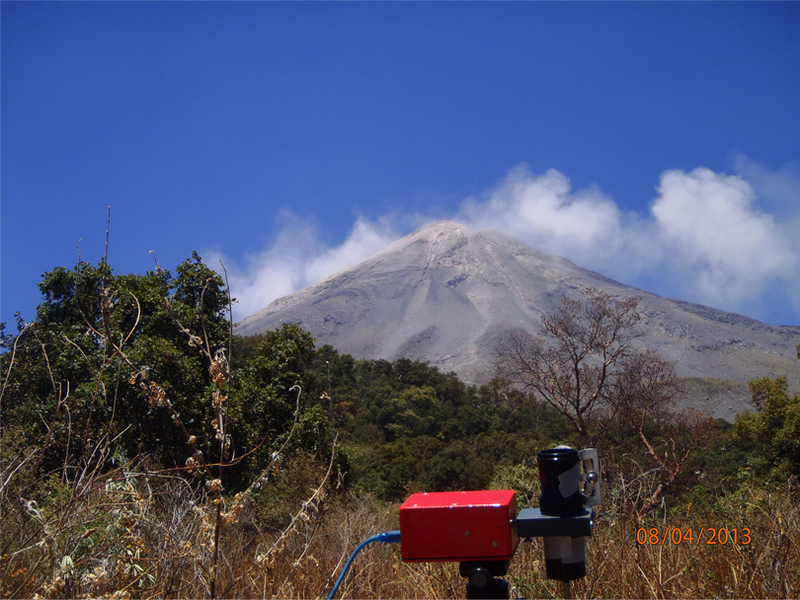 Overall, my pilot study was able to identify a 110% global increase in thermal activity for up to 90 days following this earthquake including two volcanoes that hadn’t erupted for nearly a decade. Figure 2 shows this increase in global volcanic heat flux. The dark grey line represents the average heat flux for the whole 12 year period, the light grey represents the daily variance above and below the mean and the red line is the global volcanic heat flux. 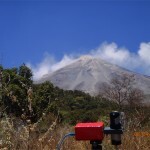 Interestingly, the volcanic response following the 2004 earthquake is the only period in the study period where the heat flux exceeds the variance. This increase appears to be directly following the Boxing Day quake and, notably, a later M8.7 earthquake in the same region did not trigger the same response. Based on this, my research will now examine these responses in more detail and investigate individual earthquake-volcano interactions. NEWS: I have recently had an abstract accepted at the VMSG 2014 conference, so look out for my blog on this later in the month!